“Himmelskare,” starts with the piano introduction, slowly beating out a melody or two. There is now immediate sense of urgency, though one gets the feeling that that is on the approach. “Skeleton Key, Skeleton Hand,” comes barrelling out full throttle. Destroying the listener’s ear drums and ensuring that the band’s message is clear from the beginning. “Netherworld Triumphant Pt 1, ” slowly eases its way into being. It gathers speed and turns into an absolute monster of a song with mental chordal patterns and changes. 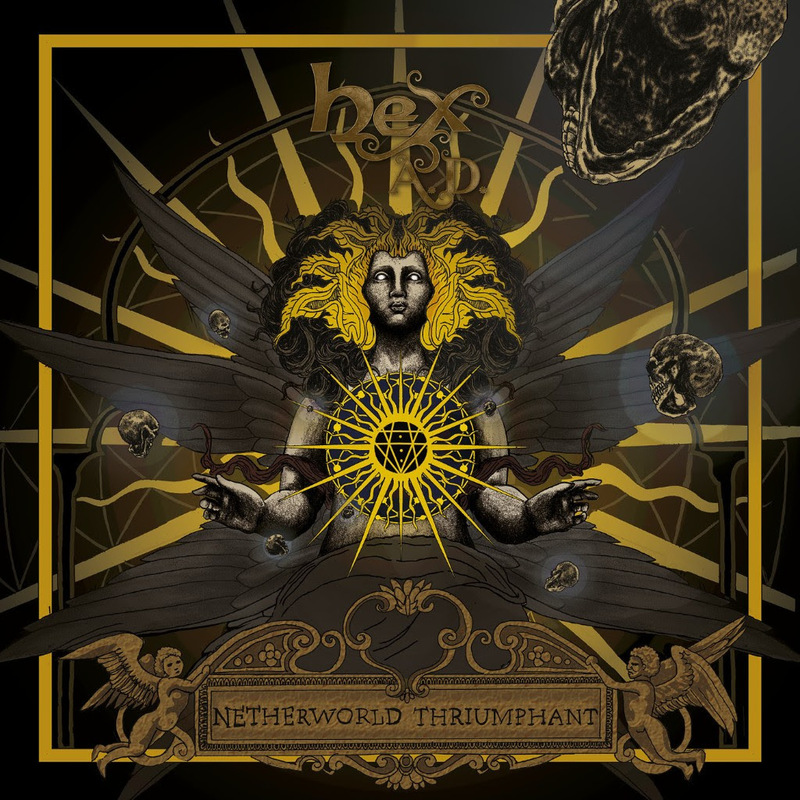 “Netherworld Triumphant Pt 2,” comes dancing down the track with a brutal introduction. It shimmers on the ground and builds from there, slowly reaching a crescendo whilst destroying the past thought processes on melody. “Warchild,” comes in all guns blazing, a slow paced riff faced with intensity and destruction, slowly shimmering and shifting beyond the pale of what one might consider normalcy. “Boars On Spears,” echoes with the tolling of the bell, it shifts and clangs, dancing from edge to another. “Ladders To Fire,” another song that comes barrelling into being. The riffs pull and push with growing intensity and sharpness, never once leaving room for doubt. The album is out on November 9th via Fresh Tea Records.